Winter has certainly settled in and made itself comfortable. The days are short and cold and we tend not to spend much time outdoors. Sometimes it feels like I have to force myself out the door in order to get a breath of fresh air. It’s about this time of year where I take up running….from my house to my car, my car to the office or to any place indoors that’s heated. Don’t get me wrong. I actually like winter. Last year’s polar vortex didn’t bother me a bit. 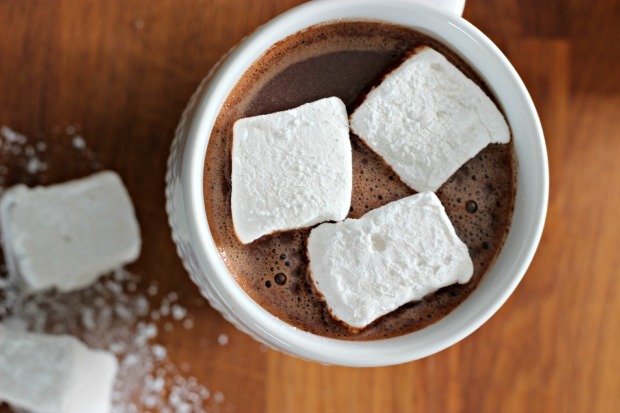 The layers of toques, mittens and scarves, the hearty soups and stews, drinking hot cocoa….I might go as far as saying it’s one of my favourite times of year…..until February, when the real bitter stuff sets in. Then summer is my favourite time of year. But in the meantime, winter is here and you might as well enjoy it! Going for an outdoor skate is a great way to spend time with family and make the most of the season. Take the kids out and enjoy an afternoon or evening on one of the great outdoor rinks in the city. At least once during the winter Sean and I take a trip down to Charles Clark Square. 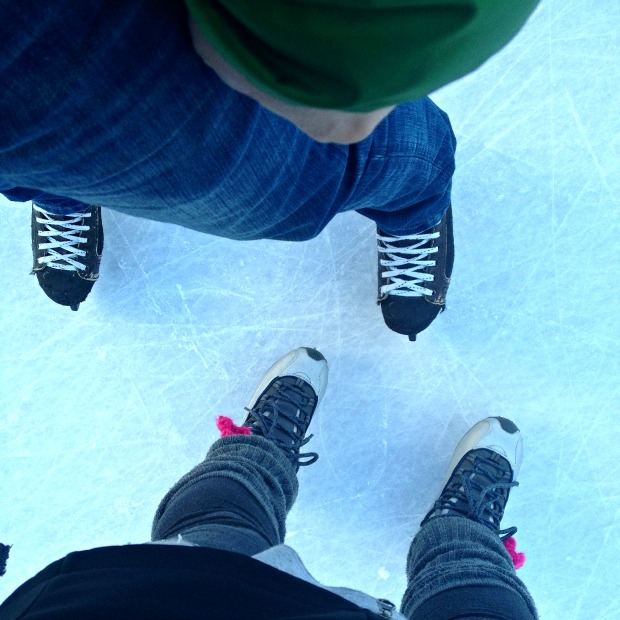 I pack up a thermos of hot chocolate, homemade marshmallows and a few treats and we skate the day away. This recipe uses real chocolate and is thick and creamy. If it’s too thick you can easily add more heated milk to thin it out to your desired consistency. 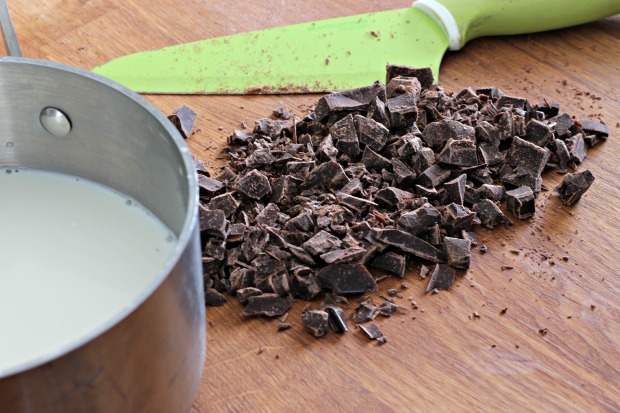 Since chocolate is the star ingredient here, you’ll want to use something that is of high quality. 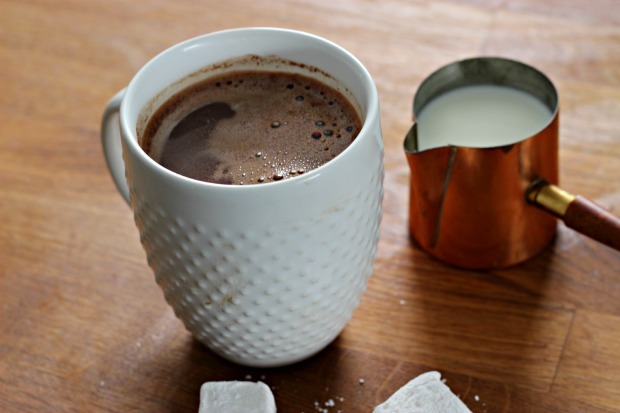 Heat the milk in a saucepan on medium heat to just below the simmering point. Remove the pan from the heat and add chocolate. Whisk until the chocolate has melted. Add the sugar and whisk vigorously until sugar has dissolved. Reheat gently and serve immediately. Sean’s five year old nephew, Manny, loves these. Last winter I made up a batch and dropped some off at his home. After eating his way through an entire bag of marshmallows, he shyly asked if I planned on making anymore. With its high sugar content, these are really a seasonal treat. I make them once a year and it gives the kids something to look forward to. 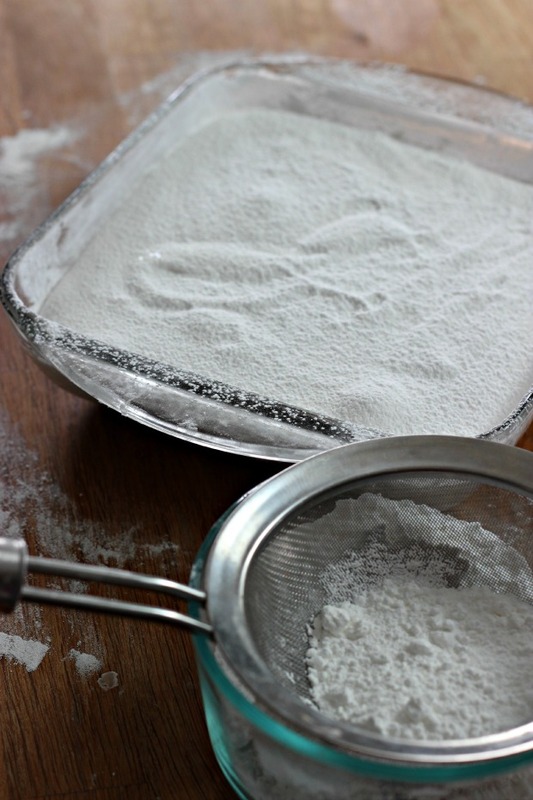 Whisk icing sugar with cornstarch in a small bowl and set aside. Stir granulated sugar with corn syrup, cold water and salt in a small saucepan. Set over high. Bring to boil and let boil without stirring for 1 minute. Then stir in vanilla. Bring corn syrup, water, salt to a boil. While waiting for syrup to boil, pour warm water into the bowl of a stand mixer with whisk attachment. Sprinkle in gelatin. Let stand 2 minutes to soften. Line an 8 inch square baking dish with overhanging plastic wrap. Lightly spray with cooking spray. This is going to make it easier for you to remove the marshmallow from the pan. 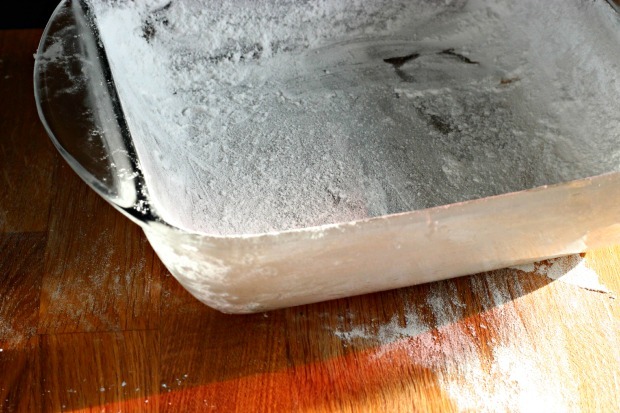 If you don’t have any plastic wrap around just coat the pan with cooking spray and dust heavily using the icing sugar and cornstarch mixture. Not using the plastic wrap just makes it a little trickier to remove from the pan. Make sure you coat that dish! Set mixer on high, then pour hot syrup in a stream down the side of the mixer bowl, beating the gelatin mixture until it is thick and sticky and white peaks form. About 4 minutes. You can add food colouring during the last minute of beating. 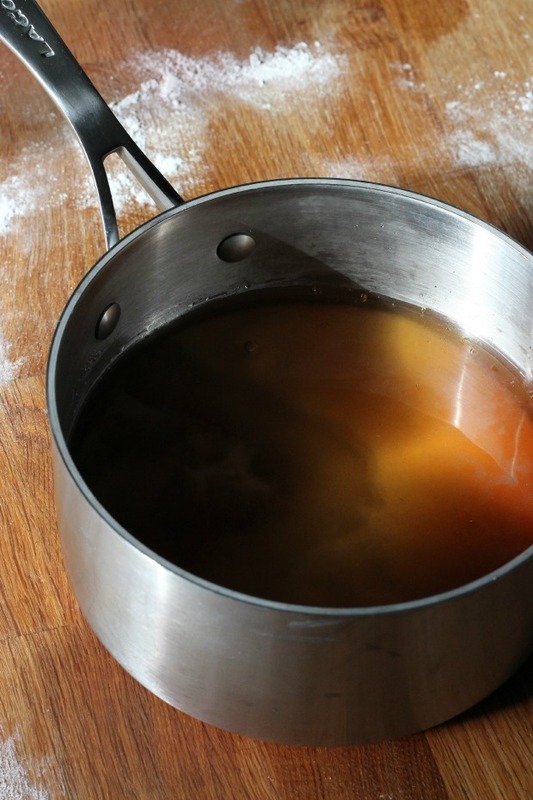 Using an oiled spatula scrape the mixture into prepared pan, smoothing the top as best you can. Let it set at room temperature for at least 2 hours. Pour the marshmallow mixture into the pan. 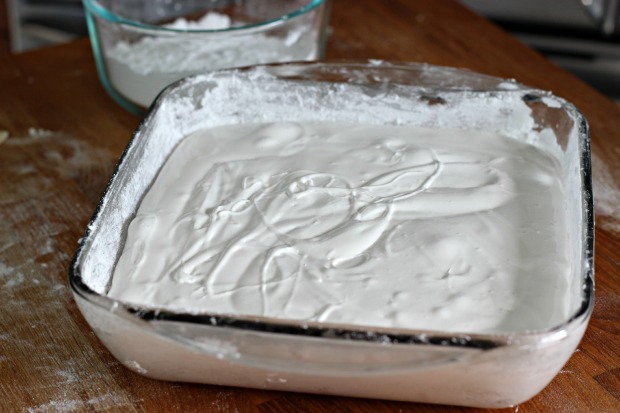 Sift one-third of the icing sugar mix over top of marshmallow to dust the surface. Turn out onto a cutting board. Discard the plastic wrap. Sift half of remaining sugar mixture over top to dust the surface. Slice into cubes about 1 inch square. 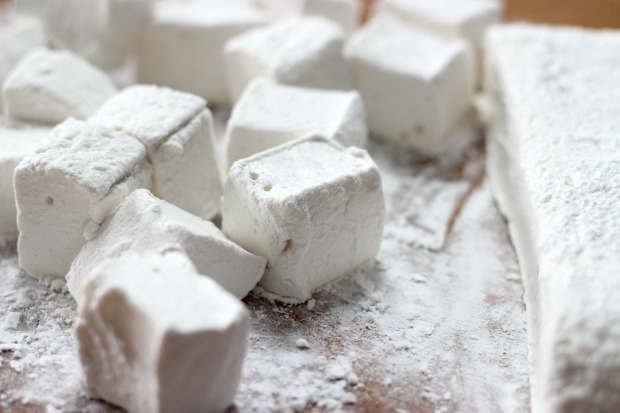 Roll each cut marshmallow in remaining sugar mixture until all sides are coated. 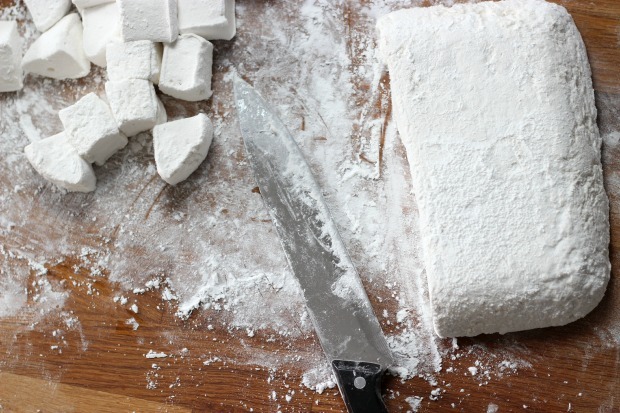 Slice that marshmallow into cubes!